August brings a slight change to our Mini Madness weekend. In August, there will be TWO featured artists, Sharon Kantor and Terry Peattie, each bringing you something different to take delight in AND the mini madness will continue onto Monday. 10:30 am. - 3:30 p.m.
Join Sharon as she walks you through the process of incorporating the use of colored pencils into collage work. 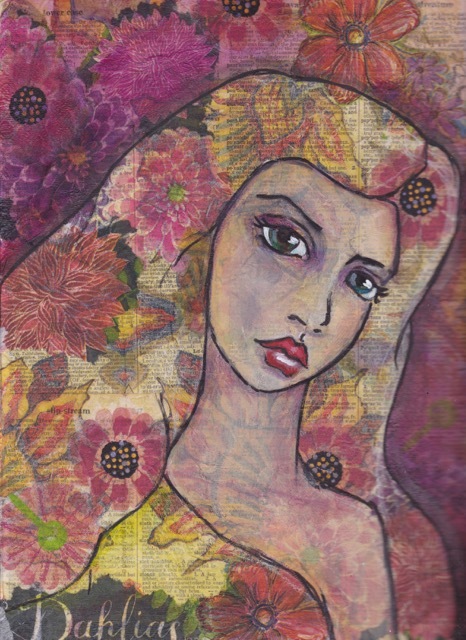 This will be a fun, creative session that ventures into the realm of mixed media and the stunning results that are possible using both collage (emphasizing some basic design principles) and colored pencils. A word to those who think they are not creative, FEAR NOT! Sharon will guide you through the process and you will be amazed at the results! Terry is offering another fabulous face class where no drawing skills are required! 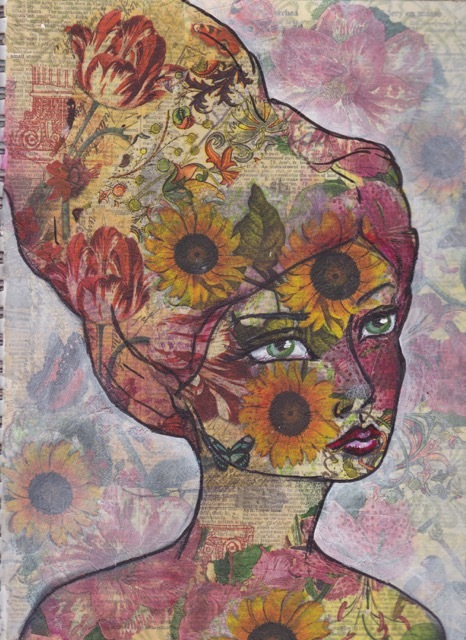 Using Jane Davenport face stencils and various mixed media techniques, participants will create two mixed media glamour girls. These works can be created in a large (9x12 Strathmore or Dylusions) journal or on separate pieces of watercolor paper. 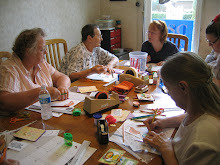 Join us for chic mixed media fun!